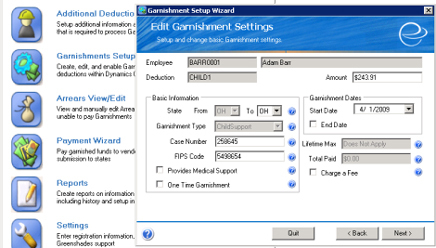 Manage complicated Garnishment rules for Microsoft Dynamics GP. 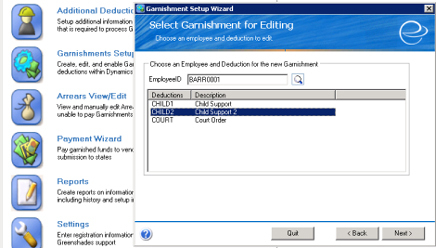 Calculates maximum garnishment amount using state and federal rules for all different garnishment types. Correctly prorate garnishments of different or similar types in accordance with state and federal rules. 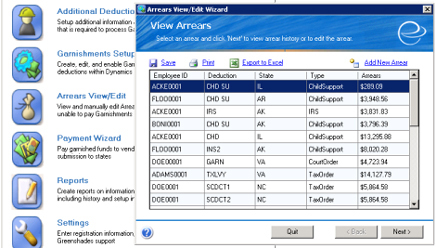 Track and manage Arrears and report on garnishment history. 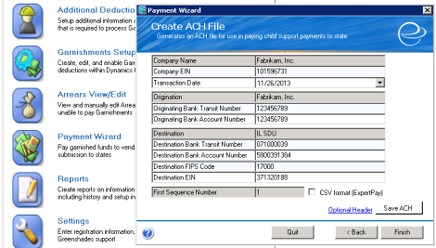 Ensure quicker disbursement of child support funds using the Health and Human Services ACH file format.